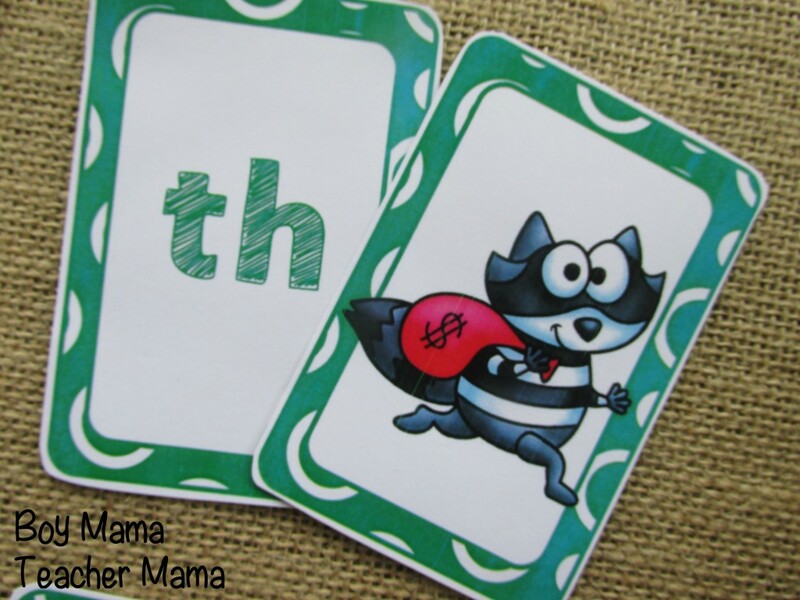 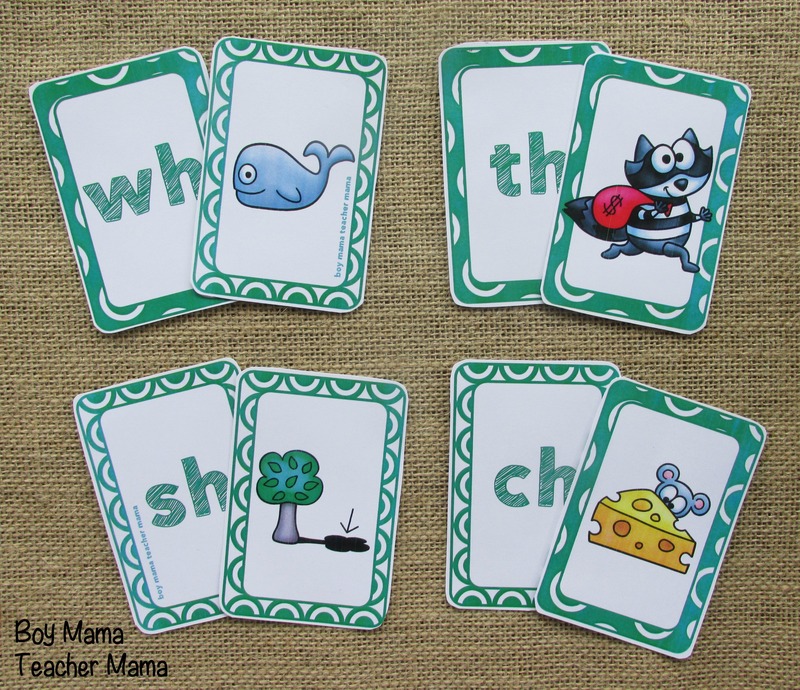 Another spelling game that practice the digraphs wh, sh, ch and th. 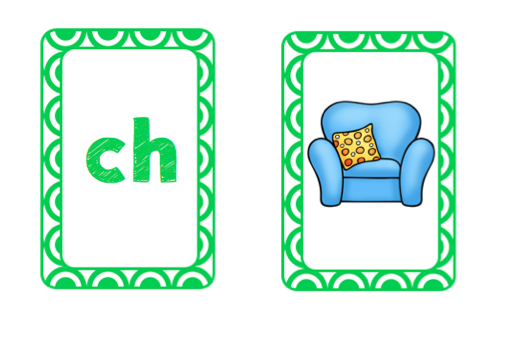 Print templates on card stock. These cards can be used in a variety of ways. 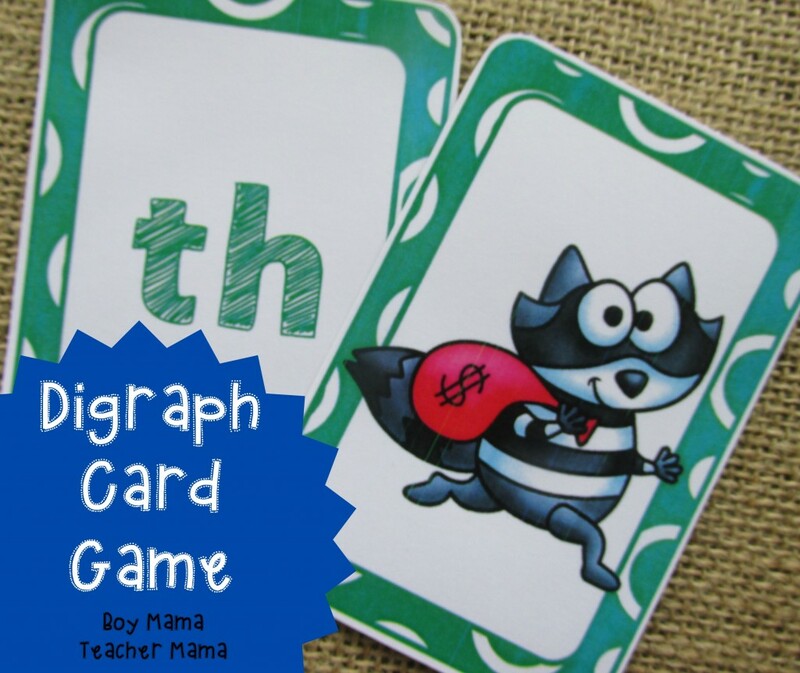 The goal is to make pairs consisting of the digraph and a picture that begins with that digraph.